I received a Facebook Notification last week, that is really nothing new, I receive about 25 notifications a day. But this one stopped me in my tracks, and it really shouldn’t have. It was a notification from my High School Class. They are planning our 30th Reunion. I stopped and did some quick mental math to make sure the group that was planning this affair actually had the year right. Yes they do, 2015-1985=30 years. 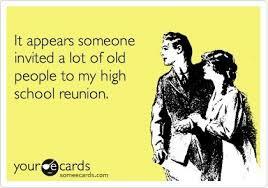 I never in my wildest dreams thought I would even entertain going to a 30th reunion. Let me take you back to the mid 80’s, I was a very shy, quiet young lady, very afraid of the world. Scared of most of my classmates. Which is quite humorous considering my class only consisted of 121 kids total. If you looked at me wrong I would shrink away in fear. I was easy to pick on, and really would not stand up for myself or anyone else. I could not wait for my 4 year stint in high school to be done. I was a good student, but bored nothing excited me in the 4 years that I was there. I looked forward to college with a passion, like chocolate or my love of pasta. I was accepted into college in a large city in CT, far away from the sticks of my hometown. I couldn’t wait to graduate and leave. The person that walked across the stage in June of 1985 stepped off with her diploma and promptly “died”. Not literally but figuratively. 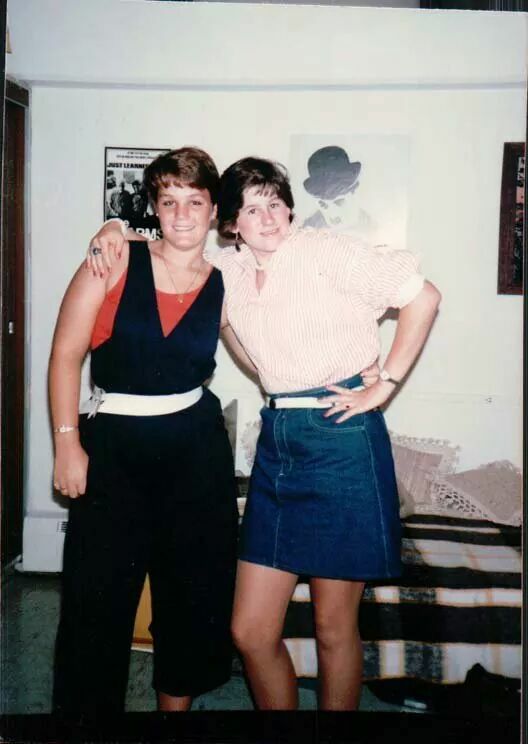 When I entered SCSU in August of 1985 I was a vastly different person, no longer shy or fearful of the world. I was excited to experience it, and see what it had to offer. Make new friends, live and enjoy the college experience. Because this Tammie was a whole new lady, nothing scared me, I wanted to try new things and live in ways that were never possible. The Tammie that will go back to the High School reunion in September will go with many life experiences under her belt. Not just husband and kids, but the multitude of experiences that make me the person that I am now. I like the person that I am now, and I think the rest of my class will too.